Attention Peoria area businesses! We need your feedback. 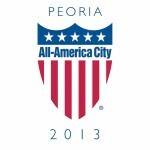 The Peoria Area Chamber of Commerce wants to know what is important to you. Please take 10 minutes to complete our survey so we can better understand your needs. Your responses are confidential. Thank you in advance for your participation!